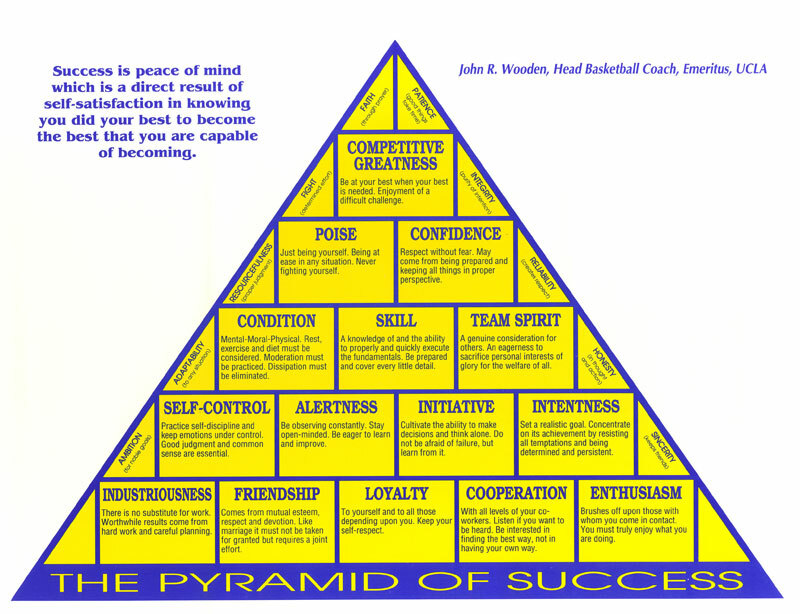 I have had Coach John Wooden’s Pyramid of Success on my wall for probably seven to eight years. Sadly, I rarely even remember to look at it, let alone take time to think about the valuable insight provided. Take a look. Think about it. It’s both useful and interesting. A shelter could be physical, financial or emotional…family and friendship, after all, are perhaps the most valuable shelter to be building in your life.